The EU is granting FAU chemist Andreas Hirsch 2.49 million euros to conduct research into black phosphorus on the molecular level. 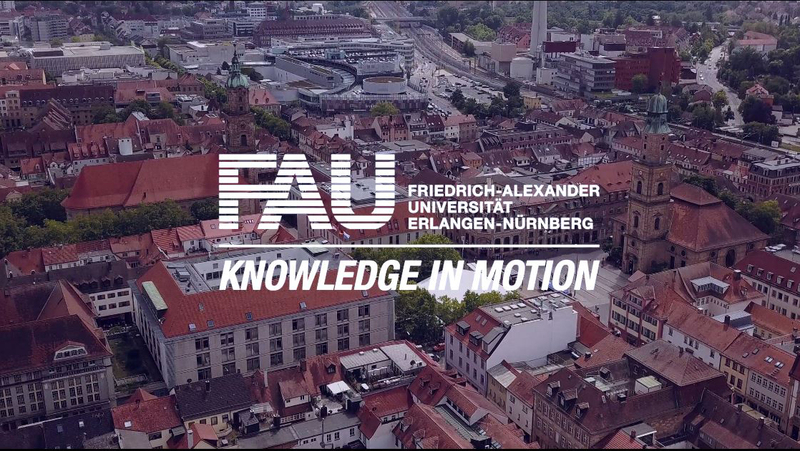 The holder of the Chair of Organic Chemistry II at FAU aims to develop new areas for its application, for instance in the fields of electrical energy storage and solar cells. It could make batteries last longer or enable solar cells to produce more electrical energy. This is the second ERC Advanced Grant to be approved for a research project headed by Hirsch. That makes him the first FAU researcher to achieve this feat. Andreas Hirsch designs new materials. He assembles them in his laboratory using molecular building blocks and then investigates their properties. His aim is to discover substances that could, for instance, be used on the molecular level in the field of electronics – one of these is black phosphorus. This is one of the harmless variants of the highly flammable and extremely toxic white phosphorus. While the individual molecules of white phosphorus have the form of four-sided pyramids with triangular surfaces, the atoms of the black variant are built up in layers to create a honeycomb-like, undulated crystal lattice. Hirsch intends to investigate the two-dimensional properties of black phosphorus using chemical processes to separate the individual layers, similar to the way a single sheet is removed from a stack of paper. With a thickness of one atom, the individual layers of black phosphorus behave in a different way than when in their compact form, just as the characteristics of a single sheet of paper are different to those of a stack. “It was discovered only recently that these thin layers have outstanding electrical properties,” explains Hirsch. These properties, such as the excellent electrical conductivity combined with the transparency of the material, can be influenced further still by combining other molecular groups such as polymers with the phosphorus. The researcher hopes that his work will result in the generation of new fields of application for black phosphorus. For example, the substance could be of interest with regard to the development of new forms of batteries. Such batteries could be much more powerful and efficient than the lithium-ion batteries currently used in laptops and mobile phones as well as in electric vehicles. The European Research Council (ERC) has allocated Prof. Hirsch a research grant worth 2.49 million euros. This so-called ERC Advanced Grant is a special form of sponsorship provided by the European Union to fund what are considered to be front-line projects. Eligible are only researchers based in Europe who have achieved outstanding results in their respective fields of research over the previous ten years. This is the second time Hirsch has qualified for the grant; he first obtained one in 2009. The chemist was conducting research into graphene at the time. Graphene is a carbon with a structure that is also formed from layers of a honeycomb lattice with the thickness of one atom and is a substance which has very unusual properties. It is transparent, very lightweight and extremely resilient while its tensile strength is actually greater than that of steel. It could be used in future in innovative types of computers, in photovoltaic applications and even in medicine. From 2009, Hirsch researched the basis of its chemical functionalisation, creating among others things a hydrated graphene with the ability to store hydrogen. Andreas Hirsch has held the Chair of Organic Chemistry II at FAU since 1995. He is the coordinator of Collaborative Research Centre 953 ‘Synthetic Carbon Allotropes’ and of the Graduate School Molecular Science (GSMS) as well as a research coordinator of the ‘Engineering of Advanced Materials’ cluster of excellence at FAU. In addition, Hirsch is coordinator of the cooperative management of the Interdisciplinary Centre for Molecular Materials (ICMM) and the Central Institute for New Materials and Process Technology (ZMP) that is located in Fürth. The ZMP in Fürth ensures that FAU has the best possible facilities for undertaking the research project. “The ZMP laboratories afford us unrivalled global preconditions for successfully realising our objectives,” says Hirsch. This is because the previous pioneering work, for example in the field of graphene research, means that special microscopes, spectrometers, other high-end instruments and the related expert knowledge are already available there.